As the use of social media becomes more and more a basic part of the American lifestyle, it is having a noticeable impact on litigation practice. For many years, seasoned litigation attorneys who swore off or didn't understand social media, felt no obligation to use social media in their cases or to talk to their clients about their own social media use. However, in today's legal climate, not understanding or utilizing social media in your cases can be a costly oversight and in some situations could be the difference between winning and losing a case. If you are a litigator, there are many ways in which social media can help or hurt your case. Since social media is still a changing and developing mode of communication, keeping on top of all of the relevant social media data that is available may be difficult, but it has become clear that attorneys need to make efforts to understand their clients' use of social media and to search for or request potentially relevant social media information from opposing parties. So what does that mean for a lawyer who is in the midst of discovery or planning for a trial in a civil matter? In order to be in compliance with the Model Rules and the ethical obligations put in place by the ABA and state bar associations, attorneys must understand the social networking sites that their clients and opposing parties are using and how these social media platforms operate. One of the more popular social media platforms is Facebook. While many people think that everything that they post on Facebook is subject to stringent privacy settings, oftentimes that is not the case, and a review of publicly available social media information can result in a treasure trove of data. For example, if an individual "comments" on or "likes" a post that is not subject to privacy settings, that information will be publicly available. Also, an account owner may believe that certain photos that she posted are private, but if they are profile photos or are converted to profile photos, they may be more publicly available than anticipated by the account owner. Photos that are posted on social media sites, including Facebook, may have metadata embedded within them that memorializes the time and possibly the location where each photo was taken. Finally, an individual has no power to affect the metadata or privacy settings of photos posted by friends or acquaintances on Facebook, which makes it more likely that potentially relevant information will be publicly available on Facebook. Another potential source for publicly available social media information is Twitter. Unlike Facebook, all Twitter posts on a normal Twitter account are publicly available. A Twitter user has a certain number of "Followers" and accounts that she follows. However, anyone who has access to the internet can download all of a user's Twitter posts. Just as is the case with Facebook, photos that have been posted on Twitter may contain a great deal of information that an account owner may not anticipate has been captured, such as the time and date of a photo and the location where that photo was taken. As Twitter becomes a more popular social media site, attorneys should definitely search Twitter for information that might support their case. Even if someone is able to use privacy settings on Facebook or other platforms to "protect" all potentially relevant information in a given case, a court may still find that social media content to be discoverable. Courts may issue orders requiring a party to produce private social media information, if it is relevant to the issues at play in that litigation. Setting privacy settings to "friends only" or "private" does not protect such social media content from being disclosed. A judge may even order a party to produce what a user believes to be private messages sent using Facebook Messenger (which are akin to text messages or emails), if they contain content that is relevant to the issues at play in the lawsuit. When a party seeks private information from a social media account, courts have generally applied the same basic analysis to determine whether to compel a response to a specific social media discovery request as they would to determine whether to compel a response to a non-social media discovery request. Courts have held that the mere filing of a lawsuit is not enough of a basis to permit unlimited access to a party's social media sites. For example, in Pecile v. Titan Capital Group, LLC,  the Court denied Defendants' request for access to Plaintiffs' social media sites on the ground that Defendants did not offer a sufficient basis for requesting the disclosure, but merely generalized assertions that the information on the social media site could contradict Plaintiffs' claims of emotional distress. Courts will not condone "fishing expeditions" on social media and this was made evident in Salvato v. Miley. In this matter, the Court found that a party seeking discovery of social media must be prepared to establish that the social media information is discoverable under the generally applicable rules of civil procedure. The Court held that this means that a party seeking discovery of privately held social media information must point to a prior investigation of publicly available social media or some other basis on which to believe that the non-public data contained on social media platforms is discoverable. Avoiding charges of a "fishing expedition" requires careful drafting of social media discovery requests. In another recent case in Florida,  the Plaintiff began deleting photographs from her account after the Defendant had requested production of all of the content of the plaintiff's Facebook page. The court then ordered that Plaintiff produce the entire contents of her Facebook account. However, Plaintiff only produced two copies of a single photograph and about 83 pages of undecipherable computer code. The Court held that Plaintiff made this production "knowing that it was not the information sought by Defendants and, more importantly, was not the information th[e] Court ordered her to produce." Defendant moved for sanctions and the Court ordered that Plaintiff provide Defendant with the log-in information for her Facebook account so that Defendant could view all of the information on Plaintiff's Facebook account. After viewing the account, Defendant identified hundreds of pages of photographs and posts, many of which directly contradicted Plaintiff's allegations in the case. In sum, attorneys must understand the social media platforms their clients and opposing parties are using since the utilization of such information has become such an important part of any litigation. It is also vitally important to remember that information from social media platforms needs to be preserved to the same extent as other data. The failure to preserve such information can lead to spoliation sanctions and grave repercussions not only for the client but for the attorney as well. 1. 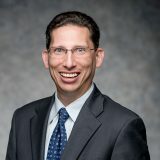 Charles Cohen is a partner at Hughes Hubbard & Reed LLP, where he is a co-chair of the eDiscovery Practice Group and a co-chair of the Firm's Technology Committee. He has an international litigation and eDiscovery practice, and lectures frequently on litigation and eDiscovery matters. He has been recognized by publications such as Chambers USA and The International Who's Who of Product Liability Defence Lawyers. He may be contacted at charles.cohen@hugheshubbard.com. Ignatius Grande is Senior Discovery Attorney/Director of Practice Support at Hughes Hubbard and co-chair of the New York State Bar Association's Social Media Committee. He frequently advises clients on the management of their social media presence and in the preservation and collection of social media information. He may be contacted at ignatius.grande@hugheshubbard.com. 2. Law schools have been following this change and are starting to develop courses that are more in line with this new age. See Monica Bay, Cardozo Law Offers New Technology Programs, Law Technology News (Oct. 14, 2014), http://www.lawtechnologynews.com/id=1202673346475/Cardozo-Law-Offers-New-Technology-Programs#ixzz3J1OctbDB. 3. ABA Model Rule 1.1, Comment 8 (emphasis added). 4. ABA Commission on Ethics 20/20 Report (May 8, 2012). 5. Shea Bennett, Facebook, Twitter, Instagram – How Public is Your Private Information? [INFOGRAPHIC], Media Bistro (Nov. 4, 2014), http://www.mediabistro.com/alltwitter/social-public-private-information_b61338. 6. Twitter accounts can be modified so that only individuals following an account can view tweets, but this is not the default setting and very few Twitter users set up their accounts in this manner. 7. Twitter users can send "direct messages" to another Twitter account owner which can't be publicly downloaded. 8. 2014 N.Y. App. Div. LEXIS 420 (1st Dep't Jan. 23, 2014). 9. 293 F.R.D. 112 (E.D.N.Y. May 6, 2013). 11. 2013 U.S. Dist. LEXIS 81784, 3-4 (D. Fla. 2013). 13. Lester v. Allied Concrete Co., Nos. CL 08-150, CL09-223 (Va. Cir. Ct. Sept. 1, 2011) (Court sanctioned attorney and counsel to pay expenses totaling $722,000 and the Court referred ethics-based allegations against counsel to the Virginia State Bar and the matters relating to the alleged perjury of the client to the Commonwealth's Attorney for the City of Charlottesville). 14. 2014 WL 1089694 (D. Nev. Mar. 18, 2014). 17. Kemp v. Trustees of Mease Hosp., Inc., No. 09-013084 CI, slip op. (Fla. Cir. Ct. Oct. 22, 2013).